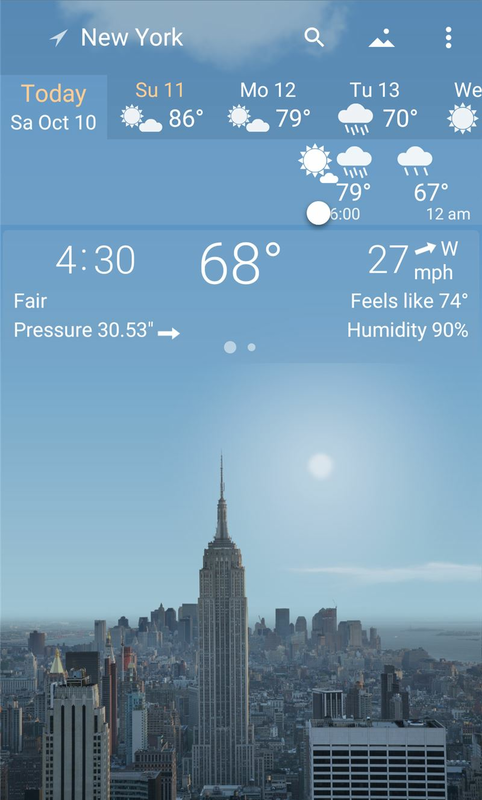 Live scenes reflect weather forecast, day, night, season. 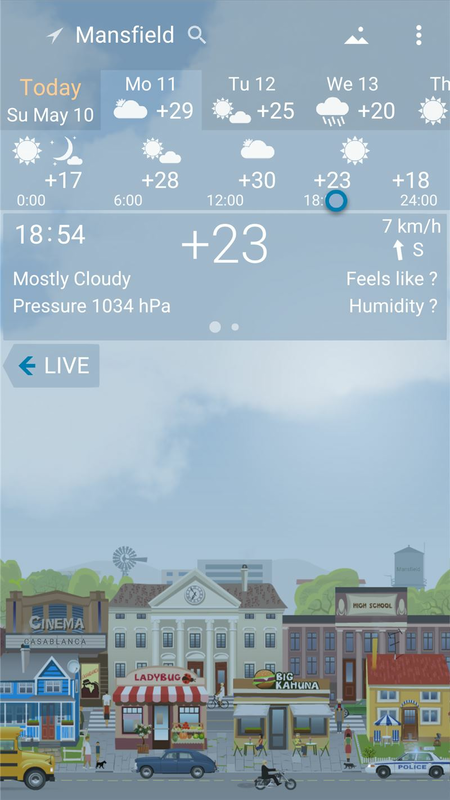 Full featured weather station with brilliant graphics. 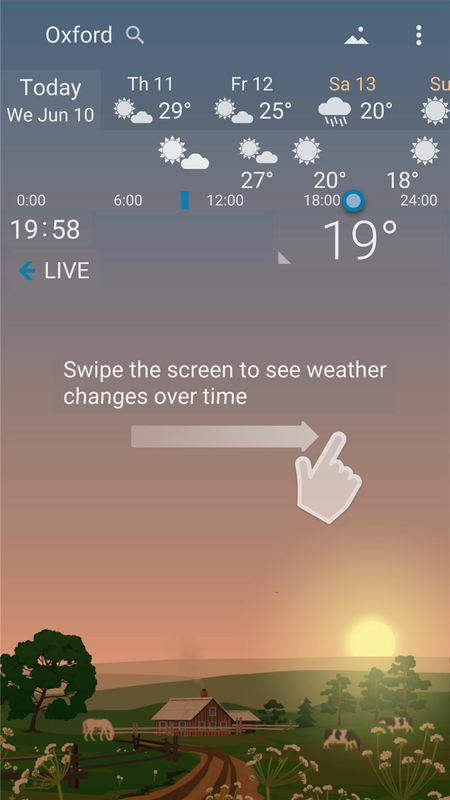 The magic of YoWindow are the landscapes reflecting the actual weather and day/night cycle even seasonal changes. 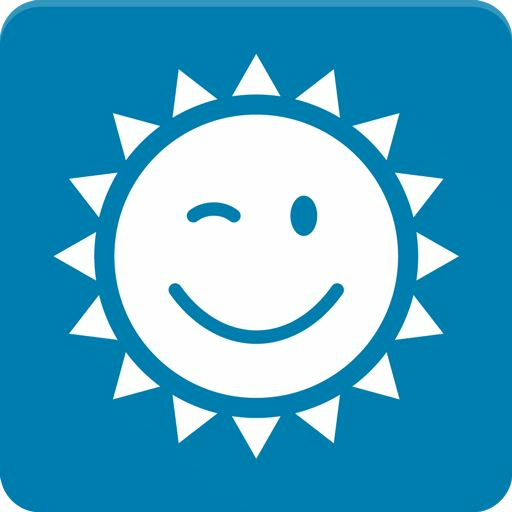 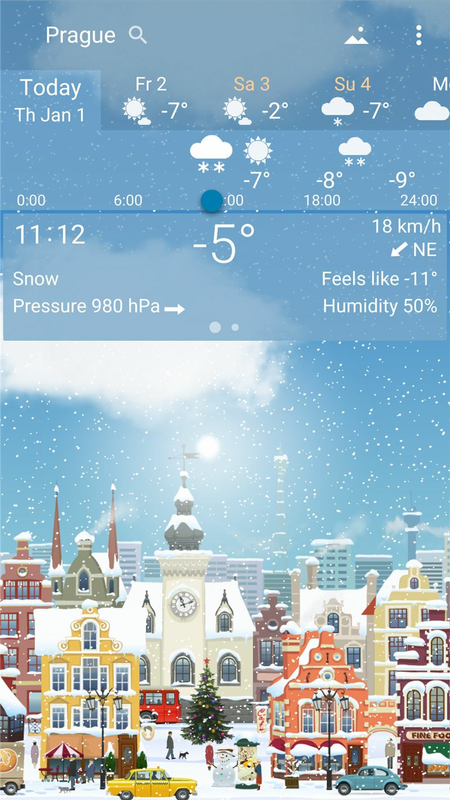 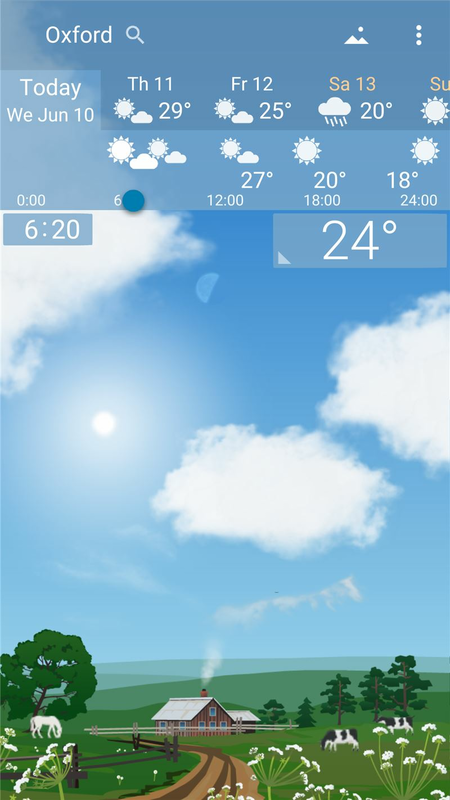 YoWindow is the only weather app where you can scroll time forward to see the weather forecast.